Watching them say goodbye tugs at your heart…translations below. I love scenes like this -where nothing is spoken but everything is being felt. Someone who feels compelled to do this will never stop loving her – even with a memory loss. This episode is not for the weak hearted – every line is going to make you feel their pain over and over. It sort of makes you wonder – if they are willing to inflict or bear so much pain for each other’s sake, wouldn’t it be better not to say anything hurtful and just be together in silence for as long as they both remember. Then I could have cried less again. man this drama is doing a number on my heart. where did the romantic comedy go that I signed up for. You would think since I cried so much the first time that I would cry less during the second and subsequent viewings to translate but turns out there are more tears in my system than I thought. 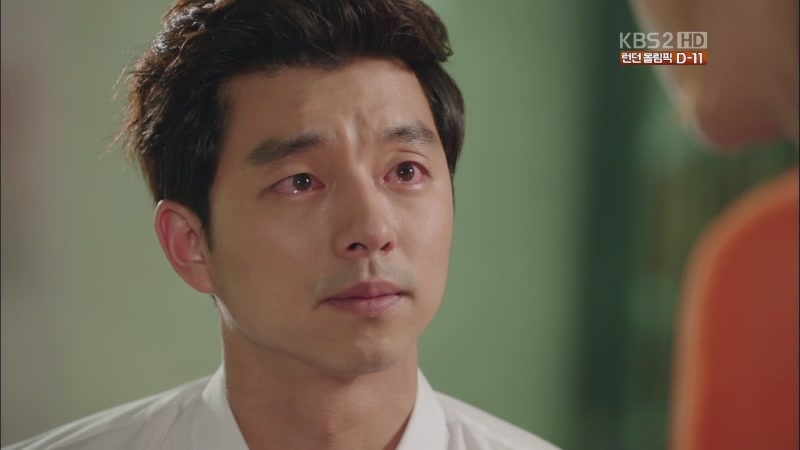 Why does this drama have to be so tragic and heartbreaking. I feel gutted. Thoughts at the end cuz of spoilers. My heart is breaking in every direction. My thoughts are at the end cuz of spoilers. Thanks to Semi-fly for her super fast torrents and reply and Sparkskey for preview translations. This may be the first time a spoiler pic and then a written preview had me skipping home on cloud nine. Ever since OB, there is something magical about tents and camping. I am going to get really personal here for a moment so dont get shocked. 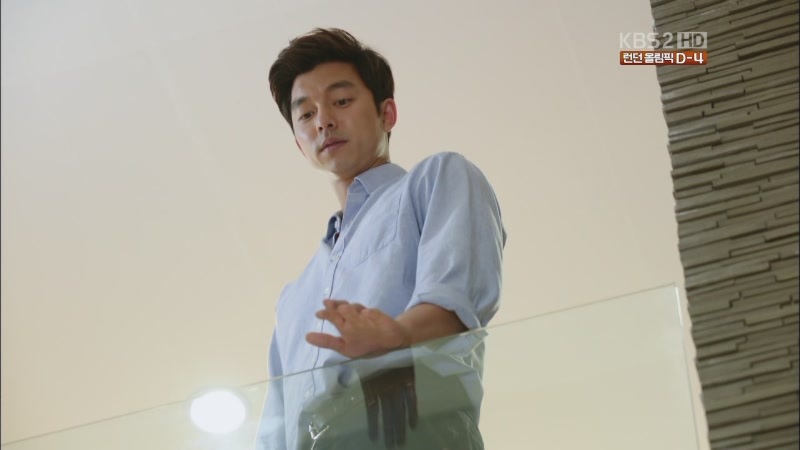 I know dramas do this all the time and even in this one it was already done, but watching a character stare at the back of someone they love just kills me every time. cuz even though they are looking at the back of their head- one of the most unromantic body parts, the act itself is what gets to me. for those few minutes they are free to memorize everything about the other person -allowing their imagination to run free and envision what it’s going to be like to live with this person, have hopes and dreams with this person, but most importantly – how they can help each other grow as human beings. It’s in that little window of defining moment where you just know with clarity “this is it- this is the person I was meant to love” and the longer you look- the more certain you become. seriously, if I sold camping gear and tents, I would write that into the brochure. that would be the selling point. if you buy this tent and go camping, it might be the beginning of the rest of your lives together. that way romantic people forget about the bugs and inconvenience and just focus on the possibility of getting closer. that would make me go camping in a heartbeat. I have been a long time Hong sisters fan, but this drama took my love for their work to a new height. I thought there was no way they could top MGIAG or YAB, but now Big has shot up to number one out of their dramas. I love how they weave in so many metaphors instead of utilizing just straight cut dialogue. Every line D and K say to each other sounds meaningless on a superficial level but it’s imbued with so much love and desperation to hold onto the person they love. Right now K and D are walking on eggshells around each other – careful not to burden one another and looking out for each other, but even if they dance around their feelings for each other, denial won’t slow down their love much longer. Sooner or later, love will prevail and the fireworks of emotion that will erupt are going to be something amazing to behold. Judging from that spoiler preview, it’s going to be worth every second of anticipation. This is one of the most thorough quick recaps I have ever done. Not just because every line was imperative but I was spurred on by need – my heart was breaking in every way possible and even as the tears flowed, I felt the urgency to get this out there quickly. So much info came at us from every direction, but the realization of the truth that D had to face and her inner struggle over it was compounded by K’s misunderstanding that he was a burden on his teacher. That couldn’t have been further from the truth, but at this point, it’s up to the characters to decide for themselves where they stand. His unselfish declaration at the end should be the tipping point for D to react and admit her feelings for him, but she needs to admit those feelings aloud to herself first to have the strength to say the words to him. The problem is I am afraid the longer she waits, the more he is slipping away from her. this just might be the first time in a fishing metaphor where I envisioned the bait willingly going through the pain of unhooking himself so she doesn’t have to struggle over her conscience about catching him. imagining that kind of sacrifice just kills me. Thanks to Semi-fly for her torrents and Sparkskey for her written translations. 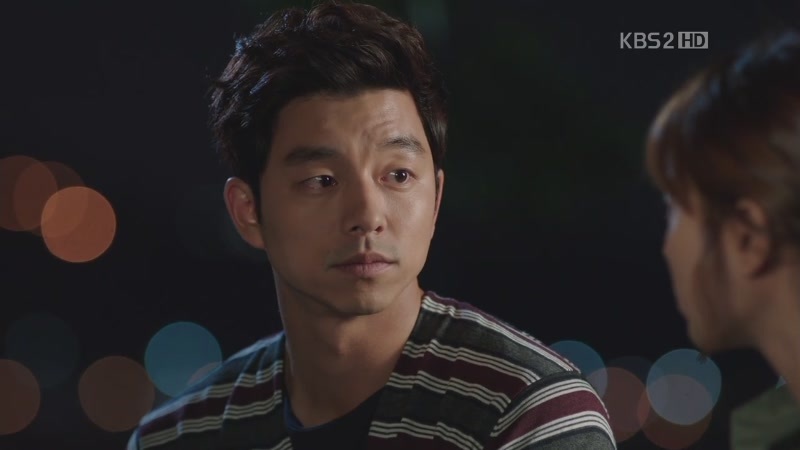 E11 written preview: Daran works hard to rein in her feelings for Kyungjoon, Mari goes off in search of Kyungjoon’s dad. Yoonjae’s father arrives in Korea in search of Kyungjoon and meets Yoonjae with Kyungjoon’s soul in it.